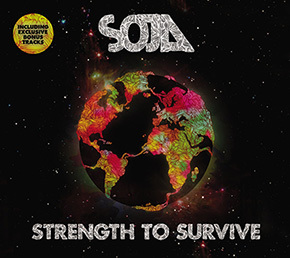 Born out of the US East Coast reggae scene, DC-based SOJA have a unique style of socially conscious reggae grooves with urgent, zeitgeist-capturing themes. Their music makes an impassioned call for worldwide unity, and for us all to act in a socially minded manner. 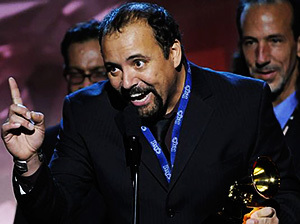 Zydeco legend Terrance Simien & The Zydeco Experience won the Grammy for Best Zydeco Or Cajun Music Album for 2007's Live! Worldwide at the 50th annual Grammy Awards held in Los Angeles yesterday. “This is the first time a completely independent Australian record label has ever won a Grammy, so we’re absolutely over the moon and thrilled for Terrance who has worked so hard in furthering the popularity of Zydeco music,” said Aim Records CEO, and Bluesfest director Peter Noble. Copy from News.com.au - read more here.. In a first for Aim Records from Byron Bay in NSW – the label owned by Bluesfest director Peter Noble – two of its artists have been nominated for Grammy's in the 50th annual Grammy Awards held in February 2008. We would like to take this opportunity to thank you for all your support! Our CEO, Peter Noble, is taking part in Popkomm over the next few days so look around for Australian Stand and say hello! Add us to your favourites and come back and visit real soon! All the best from the AIM team! Terrance Simien & The Zydeco Experience - celebrates 25 years of Simein coming to you Live with recordings from across the globe. Check it out! !